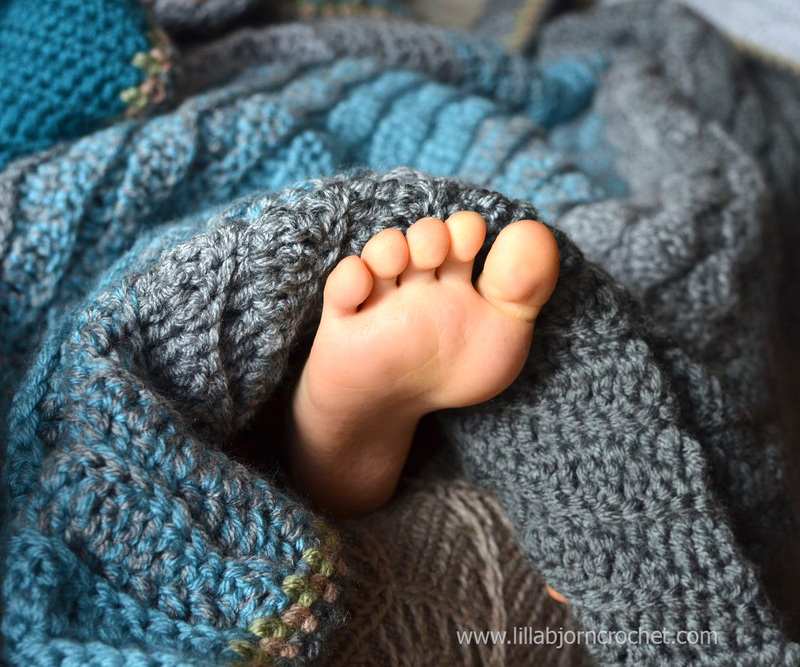 I made my first crochet granny square blanket 5 years ago, before my son was born. A nice lady brought me a huge box of colorful yarn and I decided to take this crochet adventure. To be honest I am not a blanket kind of person at all. It takes so long time (and yarn!) to make one. And I am usually not patient enough. So it took me 5 years before I made another one. 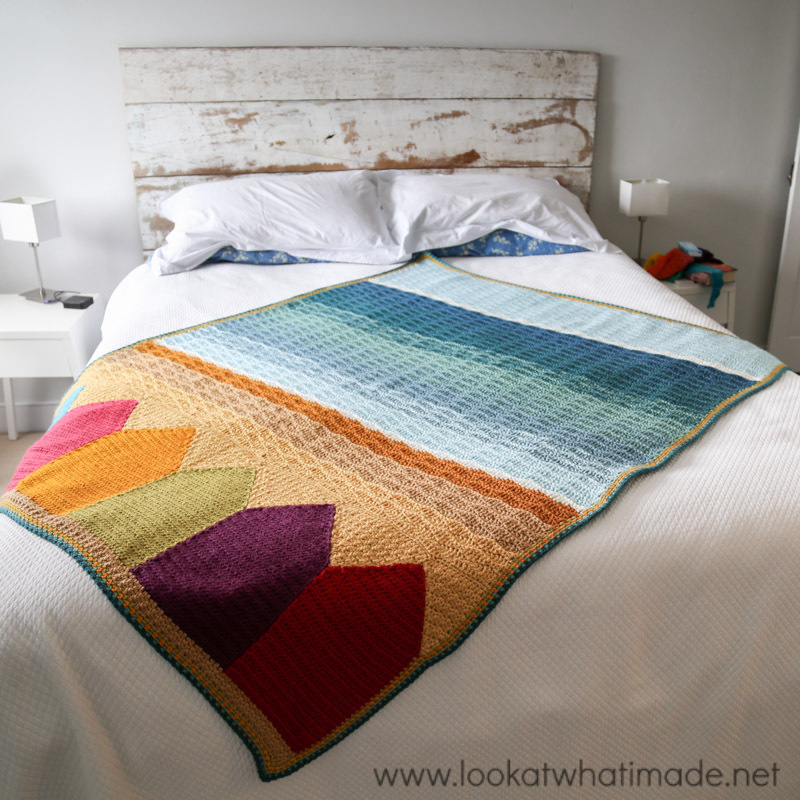 When I saw the picture of Summer in Swanage blanket by Dedri Uys (Look At What I Made) for the first time (late at night), I felt that my hair were standing up. I felt a kind of electrical impulse all over the body, I could hardly breath. This blanket was so beautiful, and it was about the sea. I could almost hear the music of the waves when I was looking at it… I fell in love. And I just needed to make the one for myself. If you know me a little bit already, you may also know that I am totally addicted to the sea. I was born in Belarus with no access to the sea. I live in the Czech Republic now with lots of gorgeous mountains but no sea. For the first time I saw it when I was 14 years old and we went with the schoolmates for a summer trip to Bulgaria. That time I was not impressed at all. My skin was totally burnt and it was not really easy to enjoy the sea. My love hit me back in 2002 when I first time came to the Baltic Sea. My English is very poor and I lack the words to describe my feelings when the huge, enormous sea suddenly hugged me. No, I was not swimming. I cannot swim and I am afraid of the water. But I was “hearing” the sea. It was “talking” to me. And I was totally lost, frozen and loved. I love cold sea. Pale and grey. I love pale yellow sun and wet sand. I love the smell of salty, cold sea wind. That night, when I saw Dedri’s blanket for the first time, I felt very strong to tell my own sea story with it. Not really a sunny holiday story. But the story of my birthday(s) in Malmö. First time it was in 2003 I guess. 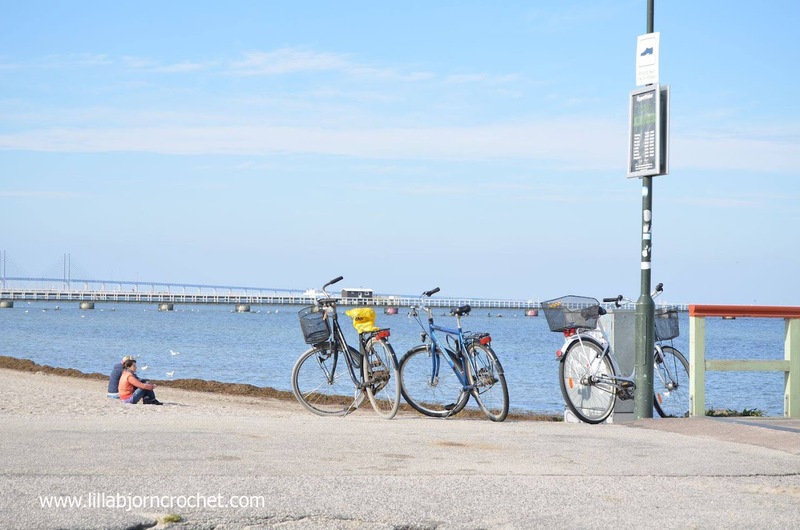 My friend Fredrik suggested that we should take the bikes and to go the beach late in the evening… Just to mention I am unable to ride a bike as well and I almost broke someone's car when falling down onto it behind the first corner… But somehow I managed to reach the sea. It was night already. 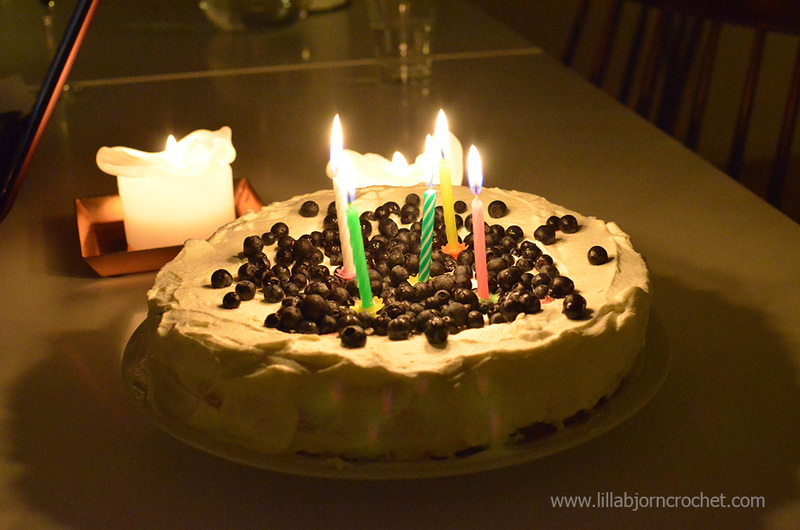 It was my first birthday in Malmö. 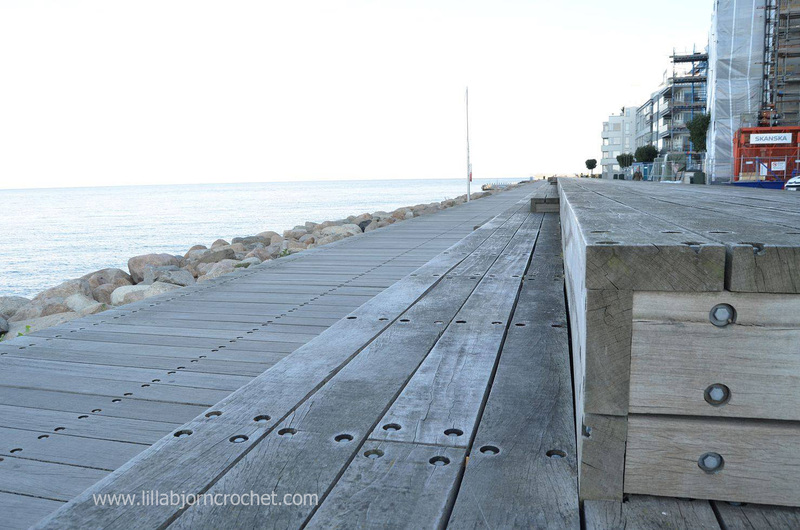 And I totally cried out - sitting on the wooden bench and looking into the dark waves… That was a very strong moment. And I clearly remember it till today. 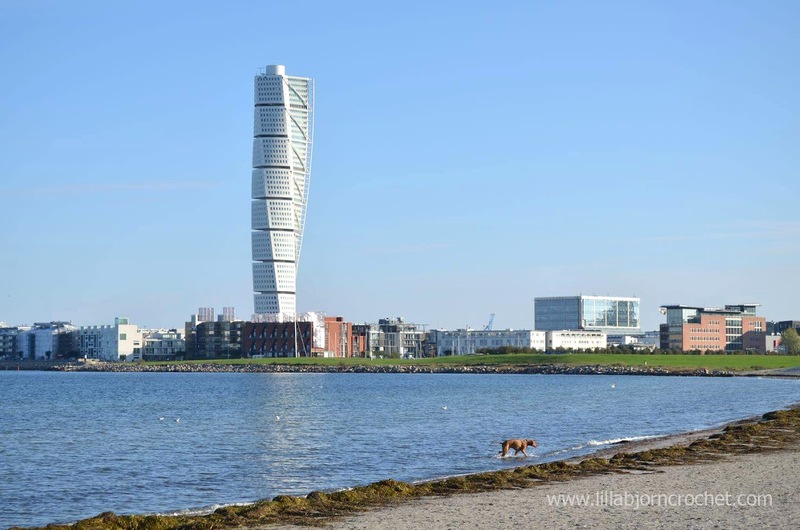 Malmö is one of the largest cities in Sweden. 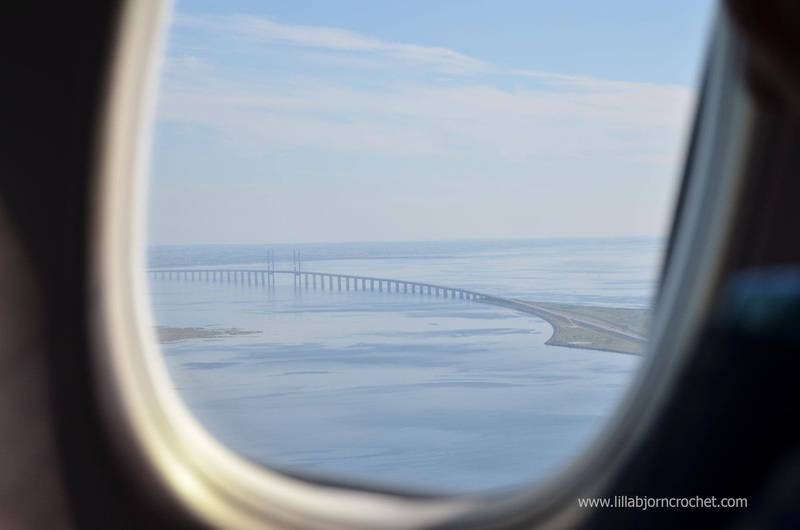 Technically it doesn’t lie by the sea, but by Öresund channel with the famous bridge connecting Sweden and Denmark. It takes 15 minutes to go by train from Malmö to Copenhagen airport. But for me this channel is the sea. 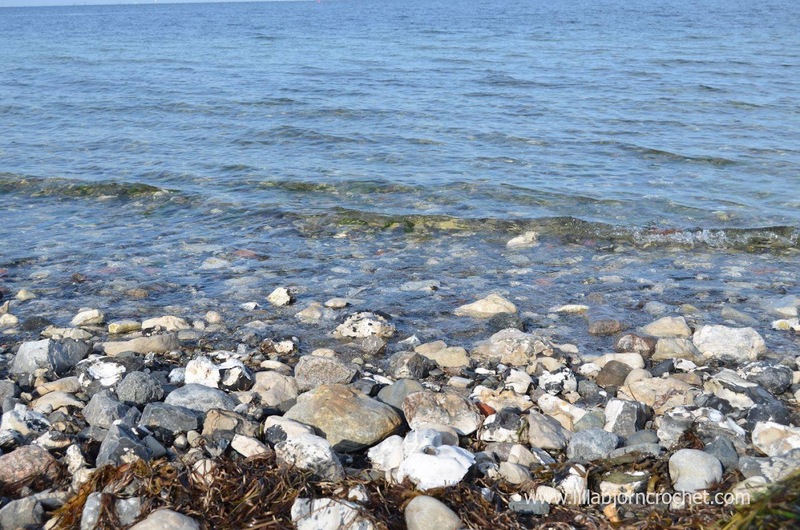 :) There are several beaches in Malmö: with the sand and with the wood. In the summer they are crowded by people. I haven’t seen any beach huts, and I am not really sure if there are any. 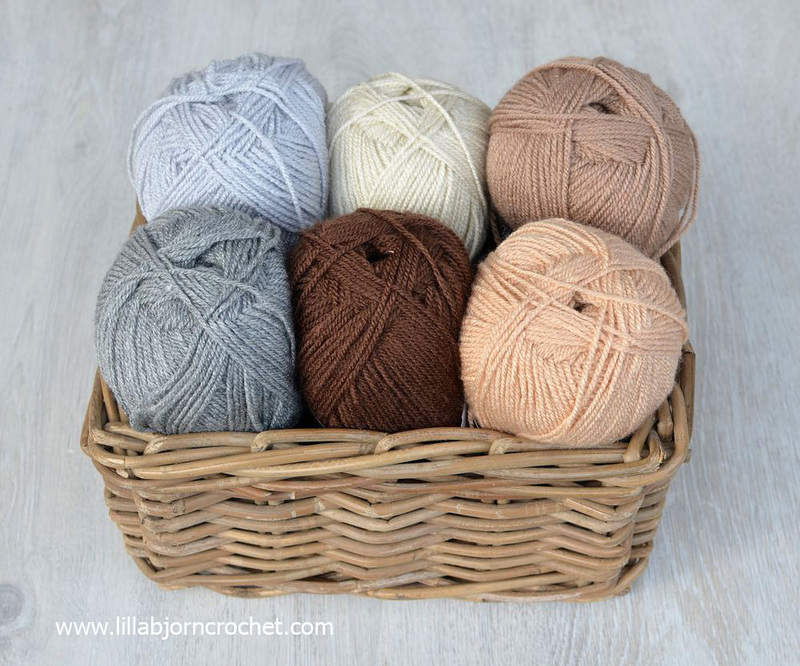 When I was choosing yarn for my blanket (Colour Crafter* by Scheepjes – read my review here), I was thinking about the colors of the houses, and of the grey wood. And I was mainly thinking about my own mood and my vision of this place. I was trying to translate my feelings via this blanket. I enjoyed every single stitch. I called my blanket “Birthday in Malmö”. And I love it. Next week I will share the pictures of my finished blanket together with the shades and exact yardages I used. You can check Colour Crafter yarn at Wool Warehouse* and Paradise Fibers* (US). Both retailers ship yarn internationally. Update: complete information about the shades and yardages for this blanket is available HERE. Don't forget to subscribe to Weekly Newsletter not to miss a single post. And you can also follow me on Facebook, Pinterest and Instagram. What a beautiful story, I think this blanket is a memory forever! You are right! This is the memory and love forever! Thank you for sharing these photos and story. I live in the U.S.A, but my mother is all Czech and my dad was half Czech, so I am always interested in hearing about it and seeing photos. So beautiful. Unfortunately there is no sea in the Czech Republic. But the mountains here are wonderful! Your english explains all so well. I know what you are saying about the sea. I worked out on the ocean many years ago, and when you lay in your bunk, listening to the waves hitting the boat it is music. And when you are just sitting out in the open of the boat, and seeing the ocean waters wave by, it is a sight you won't forget. The colors can be breath taking as you look out over the waters, and see the shore behind it. I think the colors are just perfect for your blanket, and for what I can see of the blanket, you have caught the colors so well. Tatsiana, this post is so beautiful! And so is your blanket (which, muhahaha, I have already had the privilege of seeing)!! Thank you so much for making it and for making me 'feel' your love of the ocean through it. I love the sea too, and, just like you, it speaks to me. Really liked your thoughts. Your English is quite adequate and I can't wait to see your blanket. I love that the same blanket can be made in such different palates. Both of them are beautiful and mean so much to the owners. I can hardly wait to get a full view of yours! Your English is a lot better than a lot of people I know who have it as a first and only language., Anyone who can speak more than one language is a winner. I love the sea too, but the sky blue, white sand, waves crashing on the rocks and rock pools filled with shells and starfish and tiny fish, sea, that I have here in Australia. Really enjoyed your post.,thanks. I think your English is excellent and you should be proud! 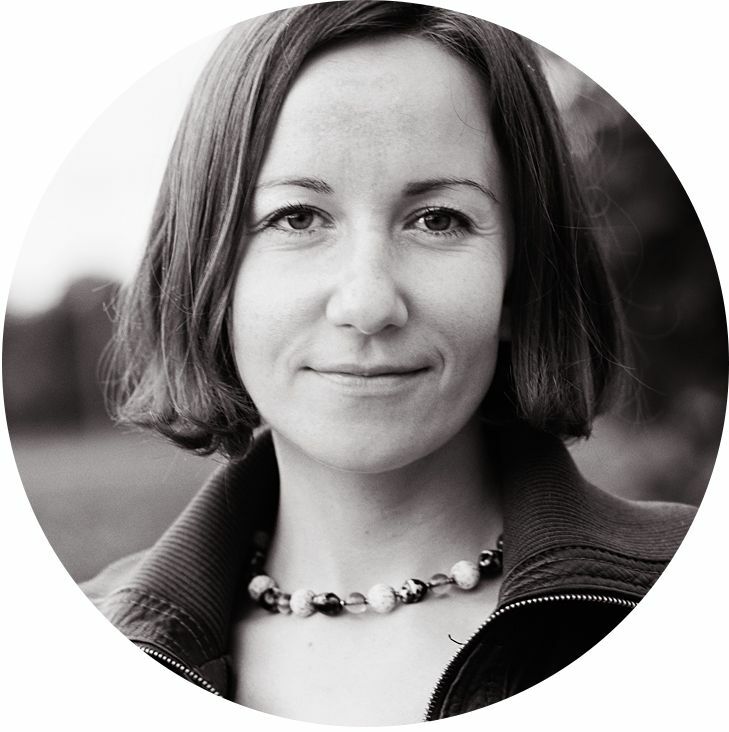 My trip to Denmark and Sweden made me very ashamed that I only speak one language, when so many around the world speak mine...and they do it very well. Your blanket is going to be stunning. The long time making them is also why blankets are special and hopefully become heirlooms in the family....yes indeed, loved and enjoyed forever. Thank you for sharing your passion for the sea and craft....the two combine beautifully. Thank you Kathy! And now I envy you a bit that you were in Sweden and Denmark this week... I have no idea when I come back. Hopefully in the summer. I can't wait to see yours Tatsiana! I want to make one too but I told Dedri that I probably am not going to put the beach huts on mine. I may make one for my best friend as well and then I would use the beach huts- she is a die-hard beach bunny!! I wonder what I would feel if I lived by the sea... I don't know. Last summer me and my husband had a trip to Belgium. We spent 5 days by the coast and I rented an appartment in the house just by the sea. 50m to the beach. It was really great to wake up every morning and look over the waves. And the sky was different every day. I saw the sunrise and sunset by the sea for the first day in my life! Lovely, beautifully evocative post! Your English is amazing! I'm looking forward to seeing the finished blanket. I love the sea, too, but am also afraid of the water! 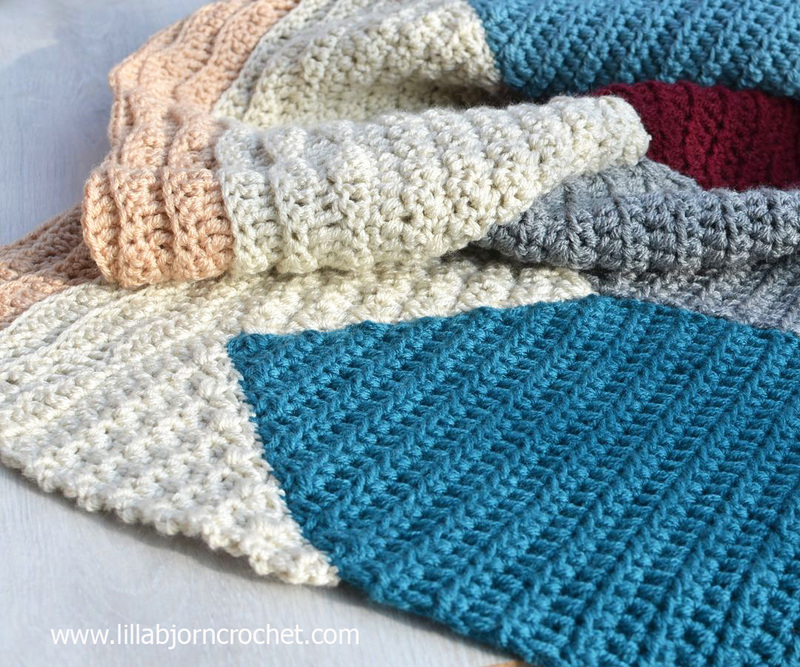 It is a beautiful blanket and I like your colors even better!